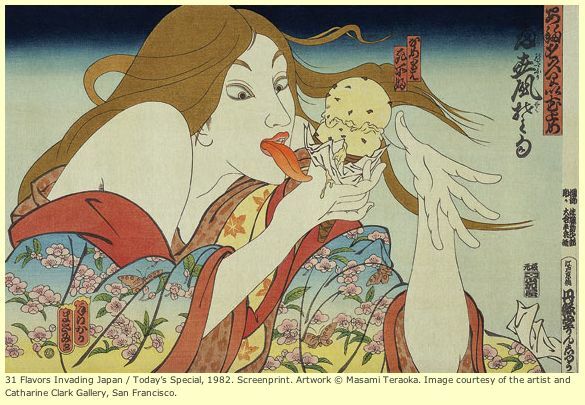 Tomorrow afternoon I’ll be moderating a panel discussion at the San Francisco Asian Art Museum’s Taste of Asia. Kevin Blum from The City Dish, Marcia Gagliardi from tablehopper.com, Nish Nadaraja from Yelp, and Pim Techamuanvivit from Chez Pim will share their insights on how online communities have changed the landscape of the restaurant world. It should be an interesting conversation, as yours truly comes from traditional media (those fuddy-duddy, dead-tree newspapers, magazines, and books) and is always struck speechless by the museum’s sexualized marketing of Asia and usually prefers a nice, simple, home-cooked dinner to most restaurant meals. And yes, has her own blog. $25, includes admission to all exhibits. For more information, call 415-581-3788.